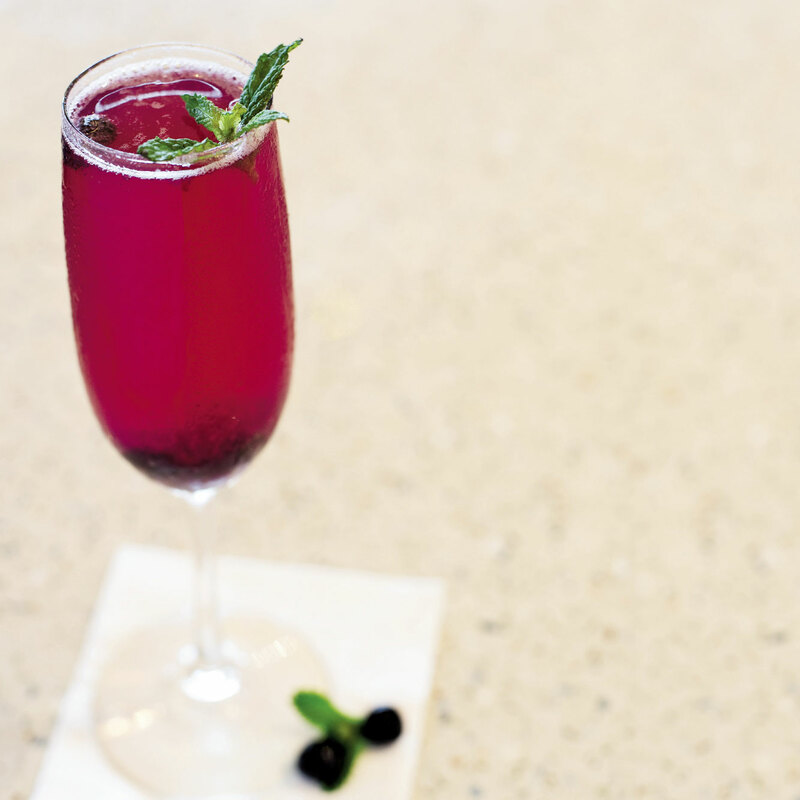 Build in a Champagne flute the sparkling wine and blueberries. Place the remaining ingredients in an ice shaker with ice. Shake well and strain slowly into the Champagne, garnish with a mint sprig.